1 More Options This trick will give you a new option menu in the middle of the game! First start your game. 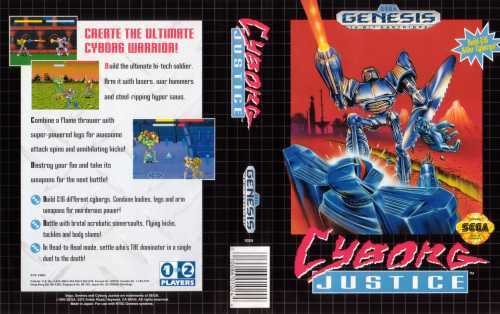 Next, make your cyborg in the asssembly room. Go into the actual game and pause it after you begin game play. At this point, press C, B, B, C, C, A, C, B very fast! If you have done this correctly a new Options screen will appear. 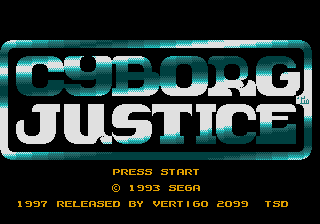 Cyborg Justice is a truly brilliant beat-em-up and boasts loads of different moves and weapons, but sadly the levels (and the enemies for that matter) aren't varied enough! Hmm...I thought the idea of ripping bits off of your opponent was funny, but the game bored me after the first two levels. It was (and still is) the only fighting game I'm good at. Rip off their arm, drop it, when they go to pick it up, rip off their torso. Drain their energy, or, if full, throw at enemy. Repeat. 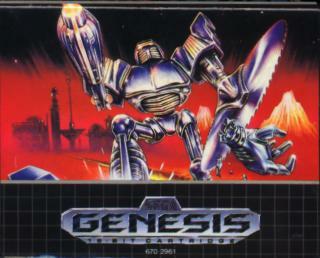 I would have to say, this game, by far, is one of thee most boring titles that you will ever encounter for the Sega Genesis. 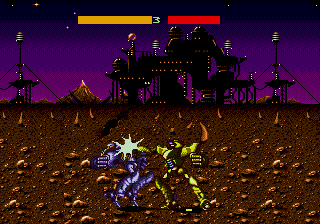 This is a Streets Of Rage (no nowhere even close to that), Beat-em-up but with Cyborg Robots. The backgrounds are extremely plain, dull, boring and generic. It seems like absolutely no real effort was put into the actual design of the game. 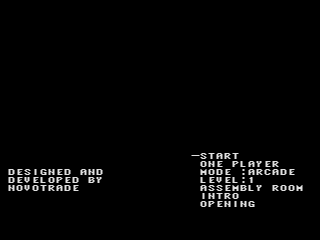 The controlls are crappy, yeh you can pull an arm off of a robot enemy here and there, but trust me, it doesn't look as cool as it sounds, plut it takes a whole lot of button-mashing (and luck) to accomplish that. 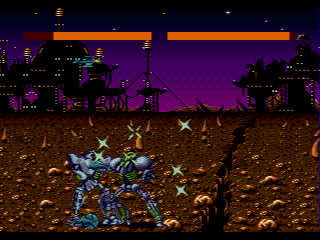 Your attacks are simply robot punches and kicks (You'd think a futuristic Mechanical Cyborg Robot would have the ability to do more than that, huh? ).